Love and Lament is a monument to memory in its most powerful comingling of past and present. . . . Thompson . . . seems to be a natural heir to that great Southern writer, [Eudora Welty]. If you live in the rural South, it is a rare delight to find a writer like John Milliken Thompson, who captures familiar landscapes with grace and freshness and also takes you so vividly and surprisingly into the past. But it’s his beautifully drawn, completely original characters—Mary bet, Cicero, Siler, Flora—who made me fall in love with this book, and who will appeal to readers everywhere. Mary Bet Hartsoe is tough, humble, independent, and enduring—a true North Carolina heroine. . . . Thompson perfectly captures the Carolina Piedmont’s sight, sounds, and flavors and convincingly depicts the turn-of-the-century South. Thompson recreates the years after the Civil War with breathtaking clarity; it’s a rare joy to sink into a novel and believe in it so completely. I rooted for Mary Bet, and worried over each step she took within a family that seemed mysteriously fated for disaster. This novel is smart, beautifully written, honest, moving. I’m sure I cannot do it justice, but here is my attempt: Mary Bet Hartsoe, the protagonist of John Milliken Thompson’s new novel Love and Lament, is a character of such intelligent and curious sensibility I would follow her anywhere. And I did, and so will you as she takes us through some of the most turbulent times in our history while negotiating, with integrity and grace, the brittle demands of family and community. In his new novel, John Milliken Thompson visits again the fertile ground that he explored so satisfyingly in The Reservoir: the South at the turn of the prior century; the trials of families under strain from within and without; and the mysterious relationships between good and evil, God and man. Love and Lament is a powerful book that you’ll not soon forget. In Love and Lament, John Milliken Thompson binds together the best of the southern gothic tradition of William Faulkner and postmodern studies of human character and psyche like Joanna Greenberg’s I Never Promised You a Rose Garden. An appealing historical novel that blends gothic and plainly romantic themes. Thompson’s Love and Lament offers us a young daughter of a still much-broken South, Mary Bet Hartsoe, as she witnesses the excesses of long-held jealousies, madness, religion and war, suffers the loss one after another of her family members, and yet marches on to become more than a woman of her time. Her story proves how the memory of loss is itself more fearsome than death, and yet even this fear has its limits once Mary Bet’s future beckons her. It’s a wonderful journey to behold. 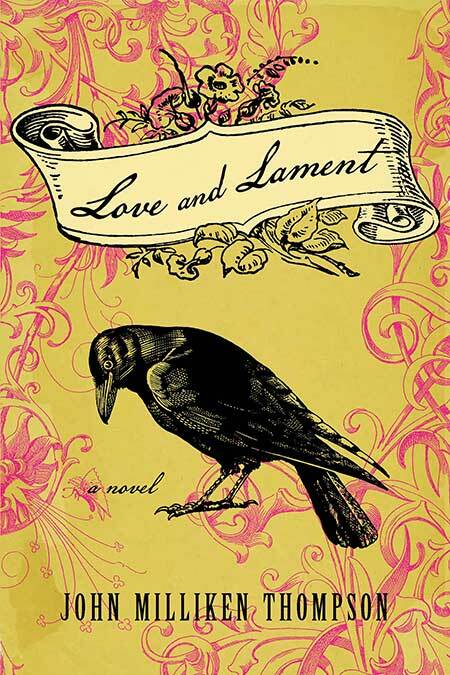 Love and Lament is an ambitious and exhilarating novel of the South at the turn of the last century. It is a book you’ll devour and savor. It will remind you why you started reading novels in the first place–to be enchanted, to be carried away from your world and dropped into a world more substantial and incandescent. John Milliken Thompson knows that every story is many stories, and he handles this complex tale of romance, family, race relations, and secrets with intelligence, grace, and tenderness. He has breathed life into Mary Bet Hartsoe and her benighted family, and they will breathe life into you. A seamlessly told and scrupulously detailed history of the Hartsoe clan of Haw County, North Carolina, Love and Lament is that rare novel that brings the gritty, rural past to vivid life. I could very nearly smell the moonshine (the moonshiners too!). Pass a few hours with Mary Bet Hartsoe and family. You won’t regret it. John Milliken Thompson’s Love and Lament is a sweeping novel that gets everything right—the details, the panorama—but mainly it allows you to experience the life of another time, about a hundred years ago, in the soul and mind of a young woman whose passions and worries could be your own. In other words, Thompson makes that art form called the novel do the work it is meant to do—thoroughly and beautifully. A new historical novel from the author of The Reservoir, this family saga features a sweet yet tough young woman who is tested to the limits of endurance. Her strength and devotion in the face of difficulty give her hope.